New Academic Year-New Beginnings - St. Joseph's N.S. 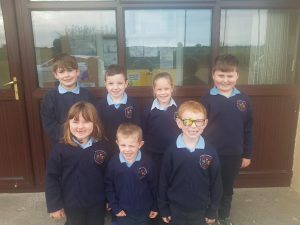 We are now a one teacher school with seven students who are in Senior Infants, Second Class and Third Class. Our new principal is Mr. Kenneth Keane and Ms. Harrison has joined us as our support teacher for this academic year. We look forward to a productive and fun year ahead.